Welcome to Smiling Bag v2.0! this is the first post on the new Smiling Bag 2.0 website, so I though the most appropriate thing to do would be to summarise the last year and let you know where we’re aiming to go next. I aimed to get I Am Level (then in development) finished and played by 100,000 people in the first year, and to release two more small mobile games. One about controlling waves and another about particle collisions. It’s been 8 months since Smiling Bag started. 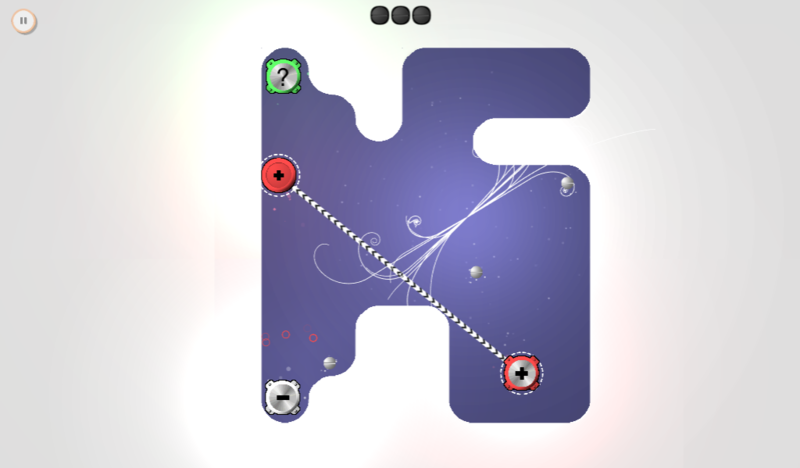 I Am Level has been played well over 100,000 times, and we’re about to release our third game, iON Bond. In summary, we achieved our first years goals in 9 months. Which is nice. So, it’s about time to start thinking about the next year. The aim is to use the momentum from the first three games to step it up a gear and make something a bit bigger with a larger team. As for adding more people to the team… well, that’s progressing as we speak. There are regular contributors, which is why I use the term ‘we’ when talking about Smiling Bag, but I’m still the only core member. So that’s the first objective, to add more people to the team. Then it’s simply a case of picking the right project. Currently, there are two bigger projects being mulled over. One is safe but simple, and the other is risky and niche. Not sure which one we’ll go with. Who knows, maybe both.